Cloud scope and performance expectations are changing as the purchasing decision shifts from the IT department to the executive level. ISVs must ensure that their hosting partners can deliver the level of service needed to satisfy end-user expectations for enabling and growing business activity. 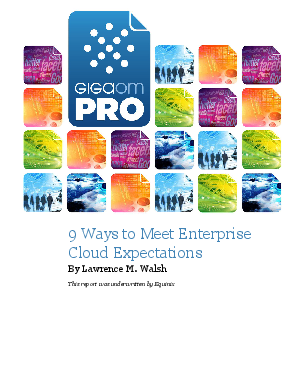 This GigaOM Pro paper explores what functions to consider when selecting and working with hosting providers as it relates to the entire value chain of function and performance. Get your complimentary 6-page report now.